Keep your stylus clean and protect your vinyl investment by cleaning your stylus with the Mobile Fidelity Stylus Brush! 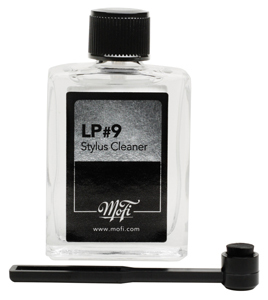 The same brush that comes with the world renowned Mobile Fidelity LP-9 stylus cleaner, the MoFi Stylus Brush is now available separately. Designed as the ultimate stylus cleaning tool, the MoFi Stylus Brush uses ultra-soft fibers, bundled into a high-density cluster for maximum cleaning. NOTE: Always brush from the back to the front! Start behind the stylus and pull forward delicately. Try to only touch the stylus and not the cantilever.